Have you ever heard of heavy copper PCB? Well, if you’ve been designing low voltage applications for typical usage, most of you may didn’t know it. The copper PCB is made by unique etching and plating techniques from 4 ounces copper weights per square feet to 20 ounces per square feet. The advancement of manufacturing technology means that manufacturers can combine standard features and copper in a single PCB to provide an excellent design in terms of size and cost. 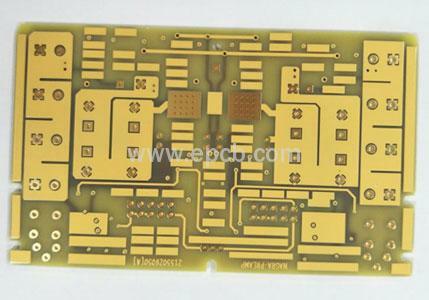 Heavy copper PCBs are largely used in military, power distribution, radar and other applications that require copper PCBs strength feature. This technology allows copper traces to withstand extreme thermal strain compared to traces and vias with 1 ounce per square feet. In addition, having a thicker copper trace also means the ability to carry more current without generating excessive power losses by local heating. The use of heavy copper technology can also eliminate external heat sink by converting the copper plane around thermal generating component into an effective onboard heat sink. If you are designing a PCB that requires reliable execution under extreme conditions, heavy copper PCBs are probably the best choice.